Former MBTA chief administrator Brian Shortsleeve. 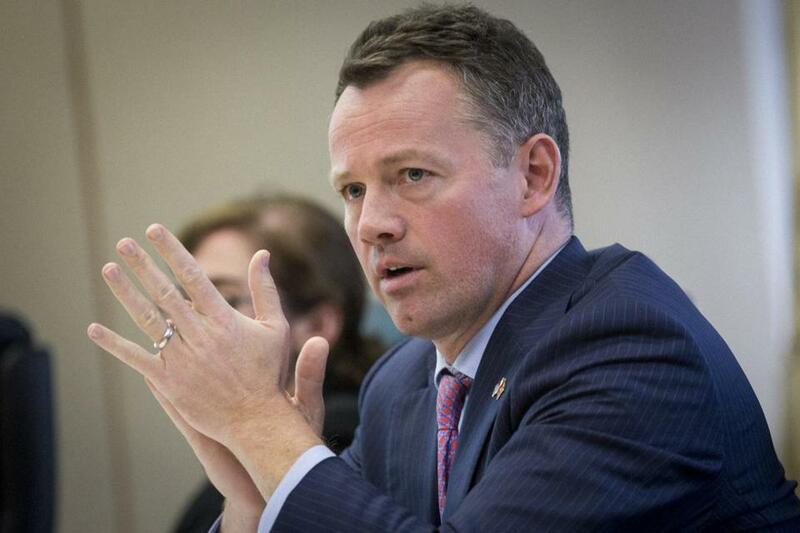 Former MBTA chief Brian Shortsleeve has raised $180 million for a new venture capital fund, returning to the industry he worked in before Governor Charlie Baker asked him to help turn around the state’s ailing transportation system. Shortsleeve’s new firm is M33 Growth and is based in Boston, he said. His partners in the fund are Gabriel Ling and Michael Anello, investors he worked with previously at the Cambridge venture firm General Catalyst. The fund, which raised money from endowments, institutions, and chief executives, will invest in young, fast-growing companies that haven’t yet taken money from other investors, Shortsleeve said. He’s aiming high in his first gig after a two-year dive into the T’s troubled finances and pension system, aging train cars, and operations issues. “Our mission is to fuel the growth of the next great success stories in American business,’’ Shortsleeve said. The name M33 is inspired by Mach 33, the speed at which an object breaks out of the earth’s gravitational pull. The firm plans to make investments in software and health care companies, as well as “disruptive services,” that use technology to change businesses. Shortsleeve said most of the firm’s investments will be between $10 million and $30 million. The three cofounders and general partners of M33 have been friends for more than a decade, said Shortsleeve, 45. Anello, who is 30, has operations experience with a number of companies since his General Catalyst days, including Tesla. Ling, 35, was most recently a partner at General Catalyst, where he worked on health care services companies and other deals. Shortsleeve stepped down from the T earlier this year to return to the private sector. He was appointed to the T’s Fiscal and Management Control Board and to the state Department of Transportation board in June.